If you think your baby is showing signs of a concussion, seek medical help at your nearest FastMed Urgent Care. A concussion is a traumatic head injury that causes the brain to bounce in the skull. When the brain endures trauma like this, it can cause bleeding inside the skull, brain swelling, torn blood vessels, and nerve damage. Since it’s common for babies to run into things, it can be difficult to know whether it’s a concussion or just a bump. That’s why it’s important for parents to know how to identify the signs and symptoms of severe trauma. These symptoms can indicate more severe head or brain trauma that may need immediate medical attention. In most mild to moderate causes of concussion, a medical professional will recommend bed rest with minimal physical activity. It’s important to pay attention to your child during the first 24 hours, and wake him up every few hours to monitor how normally he wakes up. In rare cases, treatment at a hospital or pediatric intensive care unit (ICU) may be required for more severe concussions. The best way to determine the severity of your baby’s concussion is to see a medical professional at your local FastMed Urgent Care. Our medical professionals are ready to help with care that is speedy, affordable, and compassionate. Find a FastMed near you! 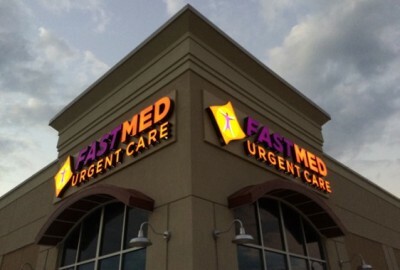 Check out our FAQ Page to find out more about FastMed Urgent Care.